For other uses, see Buk (disambiguation). 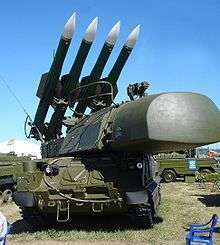 The Buk missile system (Russian: "Бук"; “beech” (tree), /bʊk/) is a family of self-propelled, medium-range surface-to-air missile systems developed by the Soviet Union and its successor state, the Russian Federation, and designed to fight cruise missiles, smart bombs, fixed- and rotary-wing aircraft, and unmanned aerial vehicles. The Buk missile system is the successor to the NIIP/Vympel 2K12 Kub (NATO reporting name SA-6 "Gainful"). The first version of Buk adopted into service carried the GRAU designation 9K37 and was identified in the west with the NATO reporting name "Gadfly" as well as the US Department of Defense designation SA-11. With the integration of a new missile the Buk-M1-2 and Buk-M2 systems also received a new NATO reporting name Grizzly and a new DoD designation SA-17. In 2013, the latest incarnation "Buk-M3" was scheduled for production. A naval version of the system, designed by MNIIRE Altair (currently part of GSKB Almaz-Antey) for the Russian Navy, according to Jane's Missiles & Rockets, received the GRAU designation 3S90M1 and will be identified with the NATO reporting name Gollum and a DoD designation SA-N-7C. The naval system was scheduled for delivery in 2014. Development of the 9K37 "Buk" was started on 17 January 1972 at the request of the Central Committee of the CPSU. The development team comprised many of the same institutions that had developed the previous 2K12 "Kub" (NATO reporting name "Gainful", SA-6). These included the Tikhomirov Scientific Research Institute of Instrument Design (NIIP) as the lead designer and the Novator design bureau, which were responsible for the development of the missile armament. In addition to the land-based missile system a similar system was to be produced for the naval forces, the result being the 3S90 "Uragan" (Russian: "Ураган"; hurricane) which also carries the SA-N-7 and "Gadfly" designations. The Buk missile system was designed to surpass the 2K12 Kub in all parameters, and its designers, including its chief designer Ardalion Rastov, visited Egypt in 1971 to see Kub in operation. Both the Kub and Buk used self-propelled launchers developed by Ardalion Rastov. As a result of this visit, the developers came to the conclusion that each Buk transporter erector launcher (TEL) should have its own fire control radar, rather than being reliant on one central radar for the whole system as in Kub. The result of this move from TEL to transporter erector launcher and radar (TELAR) was a system able to shoot at multiple targets from multiple directions at the same time. During 1974 the developers determined that although the Buk missile system is the successor to the Kub missile system, both systems could share some interoperability. The result of this decision was the 9K37-1 Buk-1 system. Interoperability between Buk TELAR and Kub TEL meant an increase in the number of fire control channels and available missiles for each system, as well as faster entry of Buk system components into service. The Buk-1 was adopted into service in 1978 following completion of state trials, while the complete Buk missile system was accepted into service in 1980 after state trials took place between 1977 and 1979. The naval variant of the 9K37 "Buk", the 3S-90 "Uragan," was developed by the Altair design bureau under the direction of chief designer G.N. Volgin. The 3S-90 used the same 9M38 missile as the 9K37, though the launcher and associated guidance radars were exchanged for naval variants. After the 9S-90 system was tested, between 1974 and 1976 on the Kashin-class destroyer Provorny, it was accepted into service in 1983 on the Project 956 Sovremenny-class destroyers. No sooner had the 9K37 "Buk" entered service than the Central Committee of the CPSU authorised the development of a modernised 9K37 which would become the 9K37M1 Buk-M1, adopted into service in 1983. The modernisation improved the performance of the system radars, its "probability of kill" and its resistance to electronic countermeasures (ECM). Additionally a non-cooperative threat classification system was installed, relying on analysis of returned radar signals to purportedly identify and clearly distinguish civilian aircraft from potential military targets in the absence of IFF. The introduction of the 9K37M1-2 system for the land forces also marked the introduction of a new naval variant, the "Ezh", which carries the NATO reporting name SA-N-7B 'Grizzly' (9M317 missile). was exported under the name "Shtil" and carries a NATO reporting name of SA-N-7C 'Gollum' (9M317E missile), according to Jane's catalogue. The 9K317 incorporates the 9M317 missile to replace the 9M38 used by the previous system. A further development of the system was unveiled as a concept at EURONAVAL 2004, a vertical launch variant of the 9M317, the 9M317ME, which is expected to be exported under the name 3S90E "Shtil-1". Jane's also reported that in the Russian forces it would have a name of 3S90M "Smerch" (Russian: "Смерч", English translation: 'tornado'). The Buk-M1-2 modernisation — based on a previous more advanced developmental system referred to as the 9K317 "Buk-M2" — featured new missiles and a new third-generation phased array fire control radar allowing targeting of up to four targets while tracking a further 24. A new radar system with a fire control radar on a 24 m extending boom reputedly enabled more accurate targeting of low-altitude planes. This new generation of Buk missile systems was stalled due to poor economic conditions after the fall of the Soviet Union. The system was presented as a static display at the 2007 MAKS Airshow. In October 2007, Russian General Nikolai Frolov, commander of the Russian Ground Forces air defense, declared that the army would receive the brand-new Buk-M3 to replace the Buk-M1. He stipulated that the M3 would feature advanced electronic components and enter into service in 2009. The upgraded Buk-M3 TELAR will have a seven rollers tracked chassis and 6 missiles in launch tubes. The Buk-M1-2 TELAR uses the GM-569 chassis designed and produced by JSC MMZ (Mytishchi). TELAR superstructure is a turret containing the fire control radar at the front and a launcher with four ready-to-fire missiles on top. Each TELAR is operated by a crew of four and is equipped with chemical, biological, radiological, and nuclear (CBRN) protection. The radar fitted to each TELAR, referred to as the 'Fire Dome' by NATO, is a monopulse type radar and can begin tracking at the missile's maximum range (32 km/20 mi) and can track aircraft flying at between 15 m and 22 km (50 to 72,000 ft) altitudes. It can guide up to three missiles against a single target. The 9K37 system supposedly has much better ECCM characteristics (i.e., is more resistant to ECM and jamming) than the 3M9 Kub system that it replaces. While the early Buk had a day radar tracking system 9Sh38 (similar to that used on Kub, Tor and Osa missile system), its current design can be fitted with a combined optical tracking system with a thermal camera and a laser range-finder for passive tracking of the target. The 9K37 system can also utilise the same 1S91 Straight Flush 25 kW G/H band continuous wave radar as the 3M9 "Kub" system. The 9S35 radar of the original Buk TELAR uses a mechanical scan of a Cassegrain antenna reflector, where the Buk-M2 TELAR design used a PESA, for tracking and missile guidance. The 9K37 utilises the 9S18 "Tube Arm" or 9S18M1 (which carries the NATO reporting name "Snow Drift") (Russian: СОЦ 9C18 "Купол"; dome) target acquisition radar in combination with the 9S35 or 9S35M1 "Fire Dome" H/I band tracking and engagement radar which is mounted on each TELAR. The Snow Drift target acquisition radar has a maximum detection range of 85 km (53 mi) and can detect an aircraft flying at 100 m (330 ft) from 35 km (22 mi) away and even lower flying targets at ranges of around 10–20 km (6–12 mi). Snow Drift is mounted on a chassis similar to that of the TELAR, as is the command vehicle. The control post which coordinates communications between the surveillance radar(s) and the launchers is able to communicate with up to six TELs at once. The TEL reload vehicle for the Buk battery resembles the TELAR, but instead of a radar they have a crane for the loading of missiles. They are capable of launching missiles directly but require the cooperation of a Fire Dome–equipped TELAR for missile guidance. A reload vehicle can transfer its missiles to a TELAR in around 13 minutes and can reload itself from stores in around 15 minutes. Also, the Buk-M2 featured a new vehicle like TELAR but with radar atop of a telescopic lift and without missiles, called a target acquisition radar (TAR) 9S36. This vehicle could be used together with two TELs 9A316 to attack up to four targets, missile guidance in forested or hilly regions. The mobile simulator SAM Buk-M2E was shown at MAKS-2013. A self-propelled fire simulator installation JMA 9A317ET SAM "Buk-M2E", based on the mobile, is designed for training and evaluating the combat crew in the war environment to detect, capture, lock on to ("maintain") and defeat targets. A computer information system fully records all actions of the crew to a "black box" to allow objective assessment of the consistency of the crew's actions and results. 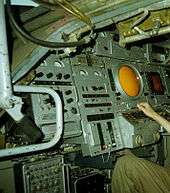 All vehicles of the Buk-M1 (Buk-M1-2) missile system use an Argon-15A computer, as does the Zaslon radar (the first Soviet-made airborne digital computer, designed in 1972 by the Soviet Research Institute of Computer Engineering (NICEVT, currently NII Argon). It is produced at a Kishinev plant originally named "50 Years of the USSR". The vehicles of Buk-M2 (Buk-M2E) missile system use a slightly upgraded version of Argon-A15K. This processor is also used in such military systems as anti-submarine defense Korshun and Sova, airborne radars for MiG-31 and MiG-33, mobile tactical missile systems Tochka, Oka and Volga. Currently, Argons are upgraded with the Baget series of processors by NIIP. Chance to destroy aircraft 0,7-0,93 maneuvering the aircraft 0.6 (for 1 missile 9M38). In '92, the system has proven the ability to destroy Scud missile R-17 and rocket MLRS caliber of 0.3 meters. The Buk is a mobile, radar-guided surface-to-air missile (SAM) missile system with all four main components — acquisition and targeting radars, a command element, missile launchers, and a logistics element — mounted on tracked vehicles. This allows the system to move with other military forces and relocate to make it a more difficult target to find than a fixed SAM system. The missile launcher component can carry a variety of missiles (as listed below) and may be able to engage more than one target simultaneously. The logistics component carries additional (reload) missiles and provides other supplies and parts for the system and the operators. In general, the system identifies potential targets (radar), selects a particular target (command), fires a missile (launcher) at the target, and resupplies the system (logistics). The missiles require a radar lock to initially steer the missile to the target until the missile's on-board radar system takes over to provide final course corrections. A proximity fuse aboard the missile determines when it will detonate, creating an expanding fragmentation pattern of missile components and warhead to intercept and destroy the target. A proximity fuse improves the "probability of kill" given the missile and target closure rates, which can be more than 3,000 km/h (1,900 mph) (or more than 900 m/s (3,000 ft/s)). Alternatively, the command component may be able to remotely detonate the missile, or the on-board contact fuse will cause the warhead to detonate. The most capable radar, assuming it has a line of sight (no terrain between the radar and the target), can track targets (depending on size) as low as 30 m (98 ft) and as far as 140 km (87 mi). The most capable missile can hit targets as far as 50 km (31 mi) and more than 24,000 m (79,000 ft) in altitude. Since the introduction of the Buk in the 1970s, the capabilities of its system components have evolved, which has led to different nomenclature and nicknames for the components' variants. The Buk has also been adapted for use on naval vessels. The basic command post of the Buk missile system is 9С510 (9K317 Buk-M2), 9S470M1-2 (9K37M1-2 Buk-M1-2) and 9S470 (Buk-M1) vehicles, organizing the Buk system into a battery. It is capable of linking with various higher level command posts (HLCPs). As an option, with the use of HLCP, the Buk missile system may be controlled by an upper level command post system 9S52 Polyana-D4, integrating it with S-300V/S-300VM into an air defence brigade. Also, it may be controlled by an upper-level command-post system 73N6ME «Baikal-1ME» together with 1-4 units of PPRU-M1 (PPRU-M1-2), integrating it with SA-19 "Grison" (9K22 Tunguska) (6-24 units total) into an air defence brigade, as well as SA-10/20 and SA-5 Gammon and SA-2 Guideline and SA-3 Goa and Air Force. With the use of the mobile command center Ranzhir or Ranzhir-M (GRAU designations 9S737, 9S737М) the Buk missile system allows creation of mixed groups of air defense forces, including Tor, Tungushka, Strela-10, and Igla. "Senezh"  is another optional command post for a free mixing of any systems. In addition to mixing their potential, each of the air defense system with the aid of Senezh can become part of another air defense system (missile's / radar's / targeting information). And do not lose quality. The system works automatically. But for the full realization of all functions, a Senezh-control system need various other monitoring systems for air defense and air force. Otherwise a Senezh system will work as a command center, but not within a free association. The 3S90 "Uragan" (Russian: Ураган; hurricane) is the naval variant of the 9K37 "Buk" and has the NATO reporting name "Gadfly" and US DoD designation SA-N-7, it also carries the designation M-22. The export version of this system is known as "Shtil" (Russian: Штиль; still). The 9М38 missiles from the 9K37 "Buk" are also used on the 3S90 "Uragan". The launch system is different with missiles being loaded vertically onto a single arm trainable launcher, this launcher is replenished from an under-deck magazine with a 24 round capacity, loading takes 12 seconds to accomplish. The Uragan utilises the MR-750 Top Steer D/E band as a target acquisition radar (naval analogue of the 9S18 or 9S18M1) which has a maximum detection range of 300 km (190 mi) depending on the variant. The radar performing the role of the 9S35 the 3R90 Front Dome H/I band tracking and engagement radar with a maximum range of 30 km (19 mi). Operation 1974 (replacement of on a ship air defenses) has been tested on the new ship in 1980. It was adopted in 1983. The modernised version of the 3S90m is the 9K37M1-2 (or 9K317E) "Ezh", which carries the NATO reporting name "Grizzly" or SA-N-12 and the export designation "Shtil". It uses the new 9M317 missile. In 1997, India signed a contract for the three Project 1135.6 frigates with "Shtil". Later, when the decision was made to modernize it with a new package of hardware & missiles, the name changed to "Shtil-1". In 2004, the first demonstration module of the new 9M317ME missile was presented by Dolgoprudniy Scientific and Production Plant for the upgraded 3S90M "Shtil-1" naval missile system (jointly with 'Altair'). Designed primary for the export purpose, its latest variant used a vertical launch missile which is fired from under-deck silos clustered into groups of twelve, twenty-four or thirty-six. The first Shtil-1 systems were installed into ships exported to India and China. Old systems Uragan, Ezh and Shtil could be upgraded to Shtil-1 by replacing the launcher module inside the ship. The reaction time is 5–10 seconds (Shtil-1). The interval between starts is less 2 seconds. To protect against boats, helicopters, aircraft, anti-ship missiles. The 9M38 uses a single-stage X-winged design without any detachable parts; its exterior design is similar to the American Tartar and Standard surface-to-air missile series, which led to the half-serious nickname of Standardski. The design had to conform to strict naval dimension limitations, allowing the missile to be adapted for the M-22 SAM system in the Soviet Navy. Each missile is 5.55 m (18.2 ft) long, weighs 690 kg (1,520 lb) and carries a relatively large 70 kg (150 lb) warhead which is triggered by a radar proximity fuze. In the forward compartment of the missile, a semi-active homing radar head (9E50, Russian: 9Э50, 9Э50М1), autopilot equipment, power source and warhead are located. The homing method chosen was proportional navigation. Some elements of the missile were compatible with the Kub's 3M9; for example, its forward compartment diameter (33 cm), which was less than the rear compartment diameter. 9M317 surface-to-air missile on the Buk-M2 quadruple launcher. The 9M38 surface-to-air missile utilizes a two-mode solid-fuel rocket engine with total burn time of about 15 seconds; the combustion chamber is reinforced by metal. For the purpose of reducing the centering dispersion while in flight, the combustion chamber is located close to the center of the missile and includes a longer gas pipe. The 9M38 is capable of readiness without inspection for at least 10 years of service. The missile is delivered to the army in the 9Ya266 (9Я266) transport container. The 9М38M1 missile uses active homing when approaching the goal. The 9M317 missile was developed as a common missile for the Russian Ground Force's Air Defence Forces (PVO) (using Buk-M1-2) as well as for ship-based PVO of the Russian Navy (Ezh). Its exterior design bears a resemblance to the Vympel R-37 air-to-air missile. The unified multi-functional 9M317 (export designation 9M317E) can be used to engage aerodynamic, ballistic, above-water and radio contrast targets from both land and sea. Examples of targets include tactical ballistic missiles, strategic cruise missiles, anti-ship missiles, tactical, strategic and army aircraft and helicopters. It was designed by OJSC Dolgoprudny Scientific Production Plant (DNPP). The maximum engagable target speed was 1200 m/s and it can tolerate an acceleration overload of 24G. It was first used with Buk-M1-2 system of the land forces and the Shtil-1 system of the naval forces. In comparison with 9M38M1, the 9M317 has a larger defeat area, which is up to 45 km of range and 25 km of altitude and of lateral parameter, and a larger target classification. Externally the 9M317 differs from the 9M38M1 by a smaller wing chord. It uses the inertial correction control system with semi-active radar homing, utilising the proportional navigation (PN) targeting method. The semi-active missile homing radar head (used in 9E420, Russian: 9Э420) as well as 9E50M1 for the 9M38M1 missile (9E50 for 9M38) and 1SB4 for Kub missile (Russian: 1СБ4) was designed by MNII Agate (Zhukovskiy) and manufactured by MMZ at Ioshkar-Ola. The 9M317 missile uses active homing when approaching the goal. Currently, several modernized versions are in development, including the 9M317M / 9M317ME, and active radar homing (ARH) missile 9M317A / 9M317MAE. The lead developer, NIIP, reported the testing of the 9M317A missile within Buk-M1-2A "OKR Vskhod" (Sprout in English) in 2005. The range is reported as being up to 50 km (31 mi), maximum altitude around 25 km (82,000 ft) and maximum target speed around Mach 4. The weight of the missile has increased slightly to 720 kg (1587 lb). The missile's Vskhod development program for the Buk-M1-2A was completed in 2011. This missile could increase the survival capability and firing performance of the Buk-M1-2A using its ability to hit targets over the horizon. In 2011, Dolgoprudny NPP completed preliminary trials of the new autonomous target missile system OKR Pensne (pince-nez in English) developed from earlier missiles. The weight of the missile is 581 kg, including the 62 kg blast fragmentation warhead initiated by a dual-mode radar proximity fuze. Dimensions of the hull are 5.18 m length; 0.36 m maximum diameter. Range is 2.5–32 km in a 3S90M "Shtil-1" naval missile system. Altitude of targets from 15 m up to 15 km (and from 10 m to 10 km against other missiles). 9M317ME missiles can be fired at 2-second intervals, while its reaction (readiness) time is up to 10 s.
The missile was designed to be single-staged, inertial guidance, radio control mid-course update and terminal semi-active radar homing. The tail surfaces have a span of 0.82 m when deployed after the missile leaves the launch container by a spring mechanism. Four gas-control vanes operating in the motor efflux turn the missile towards the required direction of flight. After the turnover manoeuvre, they are no longer used and subsequent flight controlled via moving tail surfaces. A dual-mode solid-propellant rocket motor provides the missile with a maximum speed of Mach 4.5. 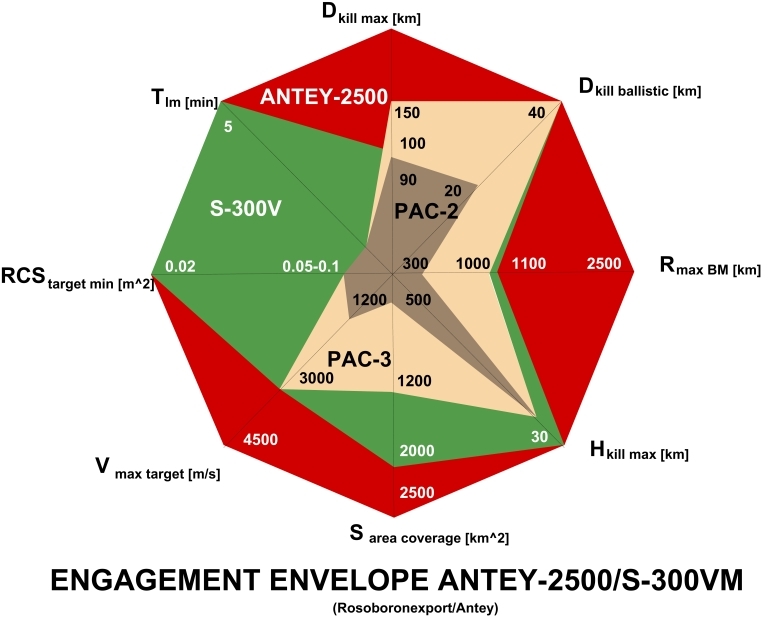 2 800 m/s 4 4 to meet (M2E - aerodynamic up to 1100 m/s, of ballistic 1200 m/s), pursuing 300–400 m/s 830 m/s/? 19/? 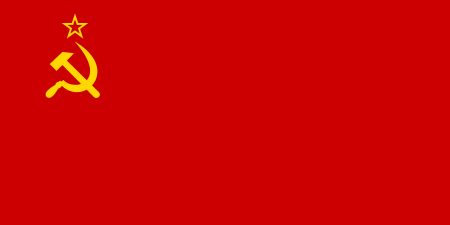 19 20 24 For missiles (24). For target (10). up to 19/? 9K37-1 'Buk-1' – First Buk missile system variant accepted into service, incorporating a 9A38 TELAR within a 2K12M3 Kub-M3 battery. 9K37 'Buk'- The completed Buk missile system with all new system components, back-compatible with 2K12 Kub. 9K37M1 'Buk-M1' – An improved variant of the original 9K37 which entered into service with the then Soviet armed forces. 9K37M1-2 'Buk-M1-2' ('Gang' for export markets) – An improved variant of the 9K37M1 'Buk-M1' which entered into service with the Russian armed forces. 'Buk-M2EK' – A wheeled variant of Buk-M2 on MZKT-6922 chassis exported to Venezuela and Syria. 9K317M 'Buk-M3' (9K37M3) – A zenith-rocket division of it has 36 target channels in total. 3S90/M-22 'Uragan' (SA-N-7 "Gadfly") – Naval version of the 9K37 Buk missile system with 9M38/9M38M1 missile. 3S90 "Ezh" (SA-N-7B/SA-N-12 'Grizzly') – Naval version of the 9K37M1-2 with 9M317 missile. 3S90 "Shtil" (SA-N-7C 'Gollum') – Naval export version of the 9K37M1-2 with 9M317E missile. 3S90E "Shtil-1" (SA-N-12 'Grizzly') – Naval export version with 9M317ME missile. 3S90M "Smerch" (SA-N-12 'Grizzly') – Possible naval version with 9M317M missile. Belarus – In May on the MILEX-2005 exposition in Minsk, Belarus presented their own modification of 9K37 Buk, called Buk-MB. On 26 June 2013 an exported version of Buk-MB was displayed on a military parade in Baku. It included the new 80K6M Ukrainian-build radar on an MZKT chassis (instead the old 9S18M1) and the new Russian-build missile 9M317 (as in Buk-M2). HQ-16 (Hongqi-16) - Co-developed by China and Russia, believed to be based on either the SA-11 or SA-17. Credited with a range of 40 km. Also known as the HQ-16A. HHQ-16 - Naval variant of the HQ-16 with a range of 35 to 75 km. HQ-16B - Improved Chinese development of the HQ-16. Reportedly has improved rocket motor and wings, and a range of 70 km. Iran – Ra'ad (Thunder) Medium Ranged Surface-to-Air Missile System using Ta'er 2 missiles. It has very similar layout to wheeled Buk-M2EK 9M317. It was shown during 2012 military parade. SOTs 9S18 Kupol range up to 120 km (45 km at a height 30 meters). Preparing to fight (inversely) - 5 min. Translation in battle mode, not for the first time in battle (after moving to another place) - no more than 20 seconds. During the exercise, "Defense 92" (1992) SAM family of "Buk" conducted successful firing at targets on the basis of ballistic missile R-17 Elbrus, and on the basis of MLRS rockets "Smerch" (caliber 0.3 meters). Additionally, the TELAR 9A310M1-2 may take control over the Kub vehicles – just the TEL 2P25 or the self-propelled unit of reconnaissance and guidance 1S91 with a TEL 2P25. In this configuration complex can simultaneously fire two goals instead of one. Probability of hitting of one rocket is: - Statically flying aircraft - 0.7–0.9; - Maneuvering aircraft with overdrive to 7–8 G - 0.5–0.7; - Tactical ballistic missiles - 0.5–0.7; - Anti-radar missiles - 0.6–0.8; - Cruise missiles - 0.6–0.8. The composition: command post 9S470M1-2 6 self-propelled fire units 9A310M1-2 can perform all combat functions, including identification of the state of the owner of the object detected. 3 launchers (can fire, transporting and loading of other launchers) installation 9A39M1, target detection station 9S18M1, machine of maintenance 9V881M1-2 with caravan ZIP 9T456, workshop of maintenance SPA-M1, machine of repair and maintenance. The maximum range of fire against ballistic missiles is 20 km, and the maximum target speed is 1200 m / s. Its capacity of protecting against ballistic missiles are comparable with that of the Patriot PAC-2. However, the height is less. Preparing to fight (inversely) - 5 min. Translation in battle mode, not for the first time in battle (after moving to another place) - no more than 20 seconds. 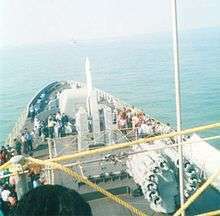 The range for engaging targets on land is 15 km, 25 km on the water. The capture distance of targets with RCS = 5 m² - 40 km. It automatically provides a high resistance to interference and work in several different combat modes, detection range of the locator of early detection 160 km. There was an experimental 9А320 TEL (with 8 missiles). Some works were conducted to utilize a wheeled vehicles for Buk-M2-1 on a KrAZ-260 chassis, but they were not completed. Developed in 1988. Accepted for service in 2008. Command post 9С510, reaction time 2 seconds. Radar of illumination and guidance of missiles or radar of targets detection of range ±60° 9С36. Translation in battle mode for the first time in battle-not more than 5 minutes, but 10–15 minutes when using derrick in which the radar of 9S36-1. Translation in battle mode, not for the first time in battle (after moving to another place) - no more than 20 seconds. Tactical ballistic missiles - 0.6–0.7 maximum speed of ballistic targets 1200 m / s.
The minimum rs to 0.05 square meters. Day-and-night passive optical system for target detection, thermal imager with minimal radiation (9А317 and 9А318) The system operates in a mountainous area without glare. The 9K317M 'Buk-M3' (9K37M3) is the latest production version. The Buk-M3 is based on completely new hardware. The new Buk-M3 has 36 target channels and features advanced electronic components. Specifications include a maximum target speed of 3,000 m/s (11,000 km/h; 6,700 mph), altitude range of 0.015–35 km (49–114,829 ft) and distance of 2.5–70 km (1.6–43.5 mi). Extensive trials were began in 2015, with the first deliveries planned for 2016. (2 into 2016). Probability of hitting the target with one missile: aircraft - 0.95; Tactical ballistic missiles - 0.7; Cruise missiles - 0.8. Increased efficiency against electronic countermeasures and manoeuvring targets. The more compact missiles increase carrying capacity to six missiles. The missile's new HE-fragmentation warhead can more easily penetrate armor. The complex is highly mobile, designed against air, ground and sea targets (the destroyer). Radar of illumination and guidance of missiles or radar of targets detection of range ±60° 9S36. The goal at a height of 7–10 meters can be detected at distances of up to 35 km, goal type AGM-158A "JASSM" at a height of 20 m, RCS in the range of 0.1m at a distance of 17 – 18 km. The radar sees targets at a height of 5 meters, in practical shooting demonstrate an ability destroy anti-ship missiles with a flight height of 5 meters. In June 2016, the "Almaz-Antey" announced successful trials of a new anti-aircraft complex of medium-range "Buk-M3". Firing at the Kapustin Yar in the Astrakhan region was carried out on a ballistic target, which was made by the missile-target. The first brigade set of the SAM "Buk-M3" handed over to the military in 2016. 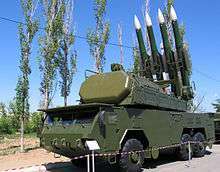 Abkhaz authorities claimed that Buk air defense system was used to shoot down four Georgian drones at the beginning of May 2008. Analysts concluded that Georgian Buk missile systems were responsible for downing four Russian aircraft—three Sukhoi Su-25 close air support aircraft and a Tupolev Tu-22M strategic bomber—in the 2008 South Ossetia war. U.S. officials have said Georgia's SA-11 Buk-1M was certainly the cause of the Tu-22M's loss and contributed to the losses of the three Su-25s. According to some analysts, the loss of four aircraft is surprising and a heavy toll for Russia given the small size of Georgia's military. Some have also pointed out, that Russian electronic counter-measures systems were apparently unable to jam and suppress enemy SAMs in the conflict and that Russia was, surprisingly, unable to come up with effective countermeasures against missile systems it had designed. Georgia bought these missile systems from Ukraine which had an inquiry to determine if the purchase was illegal. The system was used in the downing of the Boeing 777-200ER Malaysia Airlines Flight 17, on 17 July 2014, in eastern Ukraine, which resulted in 298 fatalities. Evidence included missile fragments found on site including pieces of warhead stuck in the wreckage as well as non-explosive parts of the missile parts with serial number remnants. Missile fragments were recovered from the bodies of the flight crew. According to one analysis, the launcher belonged to the Russian 53rd Anti-Aircraft Rocket Brigade. Ukraine - 72 9K37M1 as of 2016. 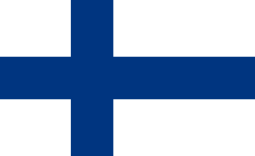 Finland – In 1996 Finland started operating the missile systems that they received from Russia as debt payment. Due to concerns about susceptibility to electronic warfare, Finland has accelerated the plans to replace the missile system with NASAMS 2. Iran - Raad with Taer-2 missiles, copy locally produced from Buk M1-2 obtained. 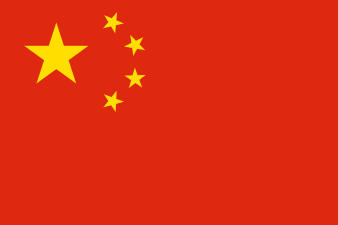 People's Republic of China – Improved variant as the HQ-16, a navalized VLS system. Joint People's Republic of China/Russian project to upgrade the naval 9K37M1-2 system 'Shtil' (SA-N-12). 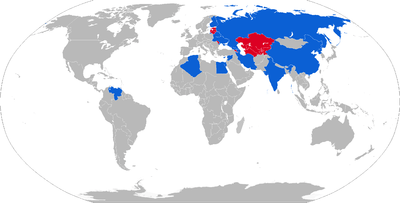 Russia – more than 430 9К37 and 9К317 as of 2016. Replacement of complex 9К37 with the newer 9К317 Buk M2 is planned to be completed by 70% or more by 2020. 1 battalion of Buk-M3 was delivered in 2016. 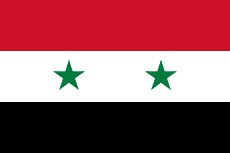 Syria 8 complexes 9К317E Buk-M2E delivered from Russian Federation in 2011 (Stockholm International Peace Research Institute – Arms Transfers Database) for Land Forces + 10/8 Buk-M2E for Air Defence. + 20 Buk-M1-2s. 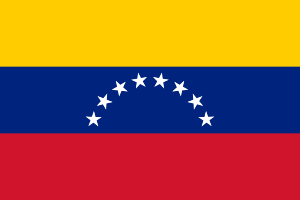 Venezuela – Buk-M2EK Received (20 ordered). ↑ "Big Russian flotilla led by Admiral Kuznetsov carrier heads for Syrian port". DEBKAfile. 21 August 2008. Retrieved 23 March 2010. ↑ "Russian mobile surface-to-air missile systems". RIA Novosti. 8 February 2007. Retrieved 18 November 2008. ↑ "What the Russian papers say". RIA Novosti. 28 August 2007. Retrieved 18 November 2008. ↑ "Russian Troops to Start Getting Advanced Air Defense Systems in 2016". RIA Novosti. December 28, 2013. Retrieved December 29, 2013. ↑ "Russian Navy to receive first Shtil SAM systems in 2014". IHS Jane's Missiles & Rockets. 6 November 2013. Retrieved December 29, 2013. 1 2 3 4 5 6 7 8 "9K37 Buk (SA-11 Gadfly)". Vestnik PVO (in Russian). 17 November 2004. Retrieved 20 August 2008. 1 2 "SA-N-7 'Gadfly' (3K90 M-22 Uragan/Shtil)/SA-N-7B 'Grizzly' (9K37 Ezh/Shtil-1)/SA-N-7C 'Gollum'(9M317E) (Russian Federation), Surface-to-air missiles". Jane's Naval Weapon Systems. 25 June 2010. Retrieved 21 August 2011. 1 2 3 4 "Chief Designer Ardalion Rastov". milparade.udm.ru. 31 August 1998. Archived from the original on 23 January 2009. Retrieved 23 August 2008. 1 2 3 4 "M-22 Uragan (SA-N-7 Gadfly)". Vestnik PVO (pvo.guns.ru) (in Russian). 17 November 2004. Retrieved 17 November 2008. ↑ "Air defense missile complex (ADMC) "Buk-М1-2"". OJSC NIIP. 2013. Retrieved December 30, 2013. ↑ "Smerch/Shtil-1/-2 (SA-N-12 'Grizzly') (Russian Federation), Defensive weapons". Jane's Strategic Weapon Systems. 11 February 2010. Retrieved 21 August 2011. ↑ "Smerch/Shtil-1/-2 (SA-N-7B/C or SA-N-12 'Grizzly') (Russian Federation), Defensive weapons". Jane's Strategic Weapon Systems. 11 March 2011. Retrieved 21 August 2011. ↑ "Зенитный ракетный комплекс "Бук-М2Э"". OJSC NIIP (Russian). 2005. Archived from the original on 27 September 2008. Retrieved 23 August 2008. ↑ "Russia to boost Ground Forces air defense – commander". RIA Novosti. 21 September 2007. Retrieved 19 November 2008. ↑ "New variant of TELAR for Buk-M3 missile system was presented in Moscow" (in Russian). military-informant.com. 21 August 2013. Retrieved 3 October 2013. ↑ "GM 569, 579, 577, 567 (Buk) for ADMC "Buk-M1-2" and "Buk-M2"". JSC MMZ (in Russian). 2011. Retrieved December 30, 2013. ↑ "Mobile simulator SAM Buk-M2E shown at MAKS-2013". Retrieved 14 November 2014. ↑ "topwar.ru > Версия для печати > Армейский самоходный зенитный ракетный комплекс "Бук"". Retrieved 29 September 2016. ↑ "34Л6 "СЕНЕЖ-М1Э"". Pvo.guns.ru. 2006-07-18. Retrieved 2015-06-03. ↑ "Автоматизированная Система Управления". Pvo.guns.ru. Retrieved 2015-06-03. ↑ "ВКО". Old.vko.ru. Retrieved 2015-06-03. ↑ "АСУ Сенеж-М1Э". Arms-expo.ru. 2015-05-22. Retrieved 2015-06-03. ↑ "М-22 "Ураган"". Pvo.guns.ru. 2009-05-22. Retrieved 2015-06-03. 1 2 "Штиль-1 с ЗУР 9М317МЭ". Pvo.guns.ru. 2009-05-22. Retrieved 2015-06-03. ↑ «Штиль» от «Авиационного оборудования». rostec.ru (in Russian). 3 July 2013. Retrieved 2015-08-02. ↑ "9К37М1 "Бук-М1" - зенитный ракетный комплекс малой дальности". Army.lv. Retrieved 2015-06-03. 1 2 3 4 5 "Зенитный ракетный комплекс средней дальности 9К317 "Бук-М2" | Ракетная техника". Rbase.new-factoria.ru. Retrieved 2015-06-03. ↑ "Уникальный зенитный комплекс средней дальности "Бук-2М" » Военное обозрение". Topwar.ru. 2011-12-15. Retrieved 2015-06-03. 1 2 Юрьевна, Сизова Ирина. Многоцелевой зенитный ракетный комплекс средней дальности «Бук-М2». www.niip.ru (in Russian). Retrieved 2015-08-02. 1 2 "2011 Financing Statement of the OJSC DNPP". ZAO SCRIN (in Russian). Dolgoprudny Scientific Production Plant. 2012. Retrieved December 30, 2013. ↑ "Russia forces USA out from its traditional arms markets". Pravda.Ru. 16 May 2008. Retrieved 20 February 2012. ↑ "Комплекс M-22 Ураган | Ракетная техника". Rbase.new-factoria.ru. Retrieved 2015-06-03. 1 2 3 "Зенитный ракетный комплекс 2К12 Куб". Retrieved 14 November 2014. 1 2 3 "Зенитный ракетный комплекс 9К37 Бук". Retrieved 14 November 2014. ↑ "ЗРК БУК- обзор". Retrieved 14 November 2014. 1 2 "-1". Retrieved 14 November 2014. ↑ "Buk-M2E Air Defence Missile System - Army Technology". Retrieved 14 November 2014. ↑ "В Индонезии устроили презентацию российского комплекса "Бук-М2Э" - ОРУЖИЕ РОССИИ Информационное агентство". Arms-expo.ru. 2015-05-22. Retrieved 2015-06-03. ↑ "ЗРК "Бук-М2Э" » Военное обозрение". Topwar.ru. Retrieved 2015-06-03. ↑ "-2, - "-2"". Retrieved 14 November 2014. ↑ "ЗРК "Бук-М2Э"". Retrieved 14 November 2014. 1 2 "Зенитный ракетный комплекс 9К37 Бук-М1". Retrieved 14 November 2014. 1 2 3 "Зенитный ракетный комплекс средней дальности 9К317 "Бук-М2"". Retrieved 14 November 2014. ↑ Основная продукция военного назначения (in Russian). Retrieved 14 November 2014. 1 2 ""Штиль-1" - Алмаз-Антей". Almaz-antey.ru. Retrieved 2015-06-03. 1 2 «Штиль» - российский зенитно-ракетный комплекс, модульные комплекты которого поступят на вооружение ВМФ России в 2014 году (in Russian). 2013-09-23. Retrieved 2015-08-02. ↑ "Buk-M1-2 - Almaz Antey Corp.". Retrieved 14 November 2014. 1 2 "Корабельный зенитный ракетный комплекс "Штиль-1" | Ракетная техника". Rbase.new-factoria.ru. Retrieved 2015-06-03. ↑ "ЗРК "Бук"-Зенитная ракета 9М38". Pvo.guns.ru. 2000-07-20. Retrieved 2015-06-03. 1 2 3 4 5 6 "Зенитный ракетный комплекс Бук-М1-2 (Урал)". Retrieved 14 November 2014. 1 2 Сизова Ирина Юрьевна. "Зенитный ракетный комплекс "Бук-М1-2"". Retrieved 14 November 2014. ↑ "Russia to exhibit Buk-M2 air defense system at LAAD 2007". RIA Novosti. 17 April 2007. Retrieved 20 August 2008. 1 2 3 Schwartz, Paul (August 2015). Russia’s Contribution to China’s Surface Warfare Capabilities (PDF) (Report). Center for Strategic and International Studies. p. 28. Retrieved 9 October 2016. 1 2 3 4 Fisher, Richard D. Jr.; Gibson, Neil (7 September 2016). "China develops longer-range HQ-16 SAM variant". janes.com. Retrieved 10 October 2016. ↑ Blasko, Dennis (2012). The Chinese Army Today (2nd ed.). Routledge. p. 163. ISBN 9780415783224. ↑ "Iran tests new anti-air missile defense: Guard". The Daily Star Newspaper - Lebanon. Retrieved 14 November 2014. ↑ "ЗРК "Бук"-Станция обнаружения и целеуказания". Pvo.guns.ru. 2000-07-20. Retrieved 2015-06-03. 1 2 3 4 5 "RusArmy.com -". Retrieved 14 November 2014. ↑ "ЗРК "Бук-М1"". Pvo.guns.ru. 2000-07-21. Retrieved 2015-06-03. 1 2 Бук-М1-2 - Алмаз-Антей. www.almaz-antey.ru (in Russian). Retrieved 2015-08-02. ↑ ЗРК "Бук-М1-2"/ (экспорт. "Урал"). pvo.guns.ru (in Russian). Retrieved 2015-08-02. ↑ "Дальность "Бук-М3" достигла 70 км, по ряду параметров он превзошел С-300". Retrieved 29 September 2016. ↑ "Зенитно-ракетный комплекс "Бук-М2" принят на вооружение в башкирской бригаде ПВО". Retrieved 14 November 2014. ↑ "Зенитный ракетный комплекс "Бук-М2Э" | Армейский вестник". army-news.ru (in Russian). 6 January 2011. Retrieved 2015-08-02. ↑ ""Бук" и "Тунгуска": опции совершенства". www.oborona.ru. Retrieved 2015-08-02. ↑ Источник: комплекс ПВО "Бук-М3" примут на вооружение до конца года (in Russian). Retrieved 2015-08-02. ↑ "ANTIAIRCRAFT MISSILE SYSTEM 9К317М "BUK-M3"". Nevskii-bastion.ru. Retrieved 2015-06-03. ↑ МОСКВА, ОРУЖИЕ РОССИИ www.arms-expo.ru 12 (2015-05-22). "До конца 2015 года комплекс ПВО "Бук-М3" будет принят на вооружение - ОРУЖИЕ РОССИИ Информационное агентство". Arms-expo.ru. Retrieved 2015-06-03. ↑ "НИИП им. Тихомирова: госиспытания Т-50 начнутся в марте-апреле | РИА Новости". Ria.ru. Retrieved 2015-06-03. ↑ "Новейший зенитно-ракетный комплекс "Бук-М3" начнет поступать в войска с 2016 года". Russian.rt.com. 2013-12-31. Retrieved 2015-06-03. ↑ "ВЗГЛЯД / Минобороны: Поступление ЗРК "Бук-М3" в войска ожидается в 2016 году". Vz.ru. 2013-12-28. Retrieved 2015-06-03. ↑ askof. "В этом году Минобороны получит несколько комплектов ЗРК "Тор-М2" и "Бук-М3"". Retrieved 29 September 2016. ↑ Имя *. "Бук-М3 самоходный ЗРК | огнестрельное оружие России". Rus-guns.com. Retrieved 2015-06-03. ↑ ""Бук-М3" против ATACMS: почему российские ракеты превосходят американский комплекс". 6 January 2016. Retrieved 29 September 2016. ↑ Даманцев, Евгений. ""Бук-М3" выведет армейскую ПВО на новый уровень - Армейский вестник". Retrieved 29 September 2016. ↑ "Rogozin told the Russian anti-aircraft missiles of the new generation.". LNRMedia. 2016-08-06. ↑ "SA-11 'Gadfly' Used to Down Georgian Drones". Abkhaz FM, Civil Georgia (in Georgian). The Georgian Times. 2008-05-06. 1 2 "Air Defense: Russia Takes A Beating Over Georgia". StrategyWorld.com. August 14, 2008. Retrieved December 30, 2013. ↑ Gregory Katz and Matthew Knight (July 17, 2014). "Buk Missile Suspected in Malaysia Plane Disaster". ABC News. Associated Press. Archived from the original on 18 July 2014. Retrieved 14 November 2014. ↑ "MH17 Ukraine disaster: Dutch Safety Board blames missile". 13 October 2015. Retrieved 29 September 2016 – via www.bbc.co.uk. ↑ "Evidence proving that flight MH-17 was taken down by a BUK missile". rtlnieuws. 19 March 2015. Retrieved 9 April 2015. ↑ Oliphant, Roland (2016-05-03). "'Russian army supplied MH17 missile', report claims". The Telegraph. Retrieved 2016-05-10. ↑ "ForcesDZ • Afficher le sujet - Buk-M2E [SA-17 Grizzly]". www.forcesdz.com. Retrieved 2016-11-29. 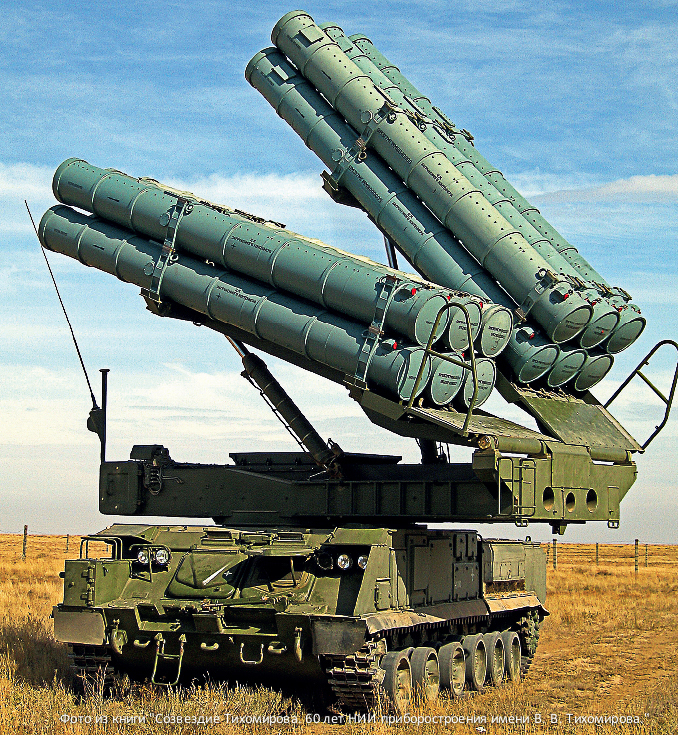 ↑ "Azerbaijan to demonstrate "BUK" anti-aircraft missile complex". News.Az. 20 June 2013. Retrieved 23 June 2013. ↑ "Tikhomirov Instrument Research Institute 9K37 Buk (SA-11 'Gadfly') low to high-altitude surface-to-air missile system". Jane's Information Group. 20 March 2008. Retrieved 4 August 2008. ↑ "The "BUK" Ground Force Air Defense System". State Company "Ukroboronservice". Ukraine. Retrieved July 18, 2014. ↑ "Egyptian President Reinforces Friendship with Russia – Kommersant Moscow". Kommersant.com. Retrieved 20 February 2012. ↑ "Pääkaupunkiseudun ilmasuojassa paljastui aukko". Suomen Kuvalehti (in Finnish). Pekka Ervasti. 2008-06-03. Retrieved 30 December 2013. ↑ "Finland Updating Its Air Defense Systems". Defense Industry Daily. September 10, 2013. Retrieved December 30, 2013. ↑ "BUK M1 -ilmatorjuntajärjestelmä löytyy edelleen myös Suomesta – video". YLE (in Finnish). July 23, 2014. Retrieved August 2, 2014. 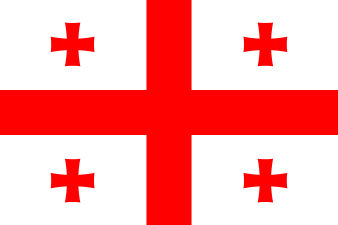 ↑ "Armament of the Georgian Army". Geo-army.ge. Archived from the original on 9 March 2012. Retrieved 20 February 2012. ↑ "Project 15 D Dehli Class Destroyer". globalsecurity.org. 2013-08-10. Retrieved 30 December 2013. ↑ "Buk-M2 goes on combat duty for anti-aircraft defence". Rambler News (in Russian). November 30, 2011. Retrieved December 30, 2013. ↑ "Russian Land Forces will dismiss the old defense technology modernization programs". Lenta.ru (in Russian). February 28, 2011. Retrieved December 30, 2013. ↑ "9K37 Buk". Jane's Information Group. 17 November 2008. Retrieved 19 November 2008. ↑ "Trade Registers". Retrieved 14 November 2014. ↑ "Чем будет воевать Сирия в случае агрессии стран западной коалиции?". Retrieved 14 November 2014. ↑ "Russian Photos (updated on regular basis) - Page 3675". Retrieved 14 November 2014. ↑ SIPRI Arms Transfers Database. Information generated: 09 March 2014. "SA-11 GADFLY (9K37M1 BUK-M1)". Federation of American Scientists. June 20, 2000. "SA-11 Gadfly / 9K37M1 Buk". warfare.be. 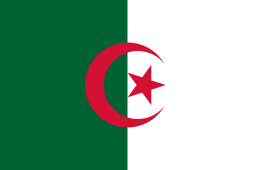 2004–2013. Retrieved December 30, 2013. BUK and other air missile system in teamwork, 9 min. Wikimedia Commons has media related to Buk surface-to-air missile system. Look up Buk in Wiktionary, the free dictionary.